Rarely does a movie live up to the reviews on the box cover --this is one that does that and more. Here we have Jordyn who celebrates her 18th birthday finds out she comes from a long history of witches, her grandmother, mother and aunt are all witches. Desperate to find her belonging but also being raised by her overprotective aunt basically keeping her from harm from her own mother who has aged over the centuries and needs a younger body in which to keep her spirit alive. Mother(above) has some good evil battles with her religious sister and her trying to get Jordyn to commit her body to her. 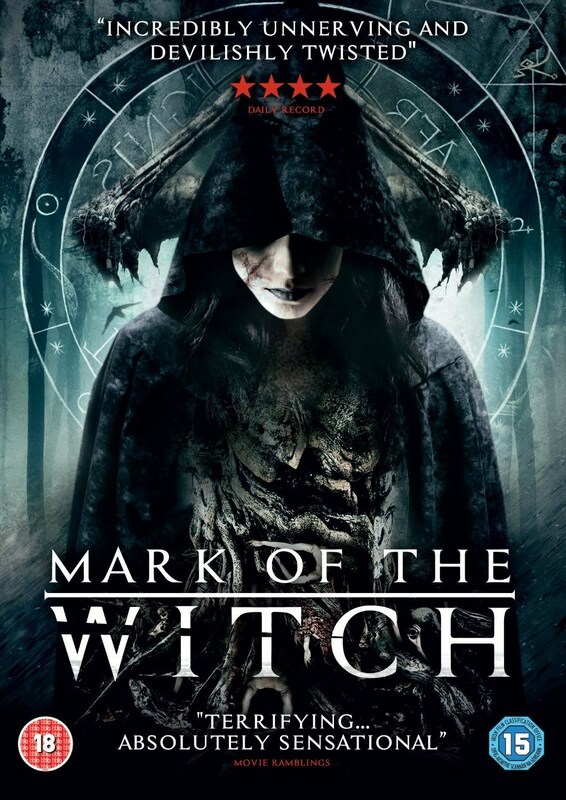 There is a dark mood to this film and when Jordyn starts to change to the world of the witch it is all but evil. More and more this year there are some really decent horror movies being made and this is easily one of them, good storytelling and all around effectiveness to get scary without all the gore as many studios do so much of these days. Nancy Wolfe(above)plays Jordyn's aunt Ruth and with such conviction and compassion for her niece , she should get an award of some sort --she really helped push the film into more a believable state. A true solid performance all around from her , magical actress has some great acting. This is truly storytelling at it's best and what makes for some great nightmares for others.